On October 23, 2014, The Mission Playhouse staff collaborated with the Gabrieleno-Tongva San Gabriel Band of Mission Indians on a new play Toypurina. Based on true story, Toypurina follows the life of a remarkable Native American woman who led a rebellion in 1785 against the San Gabriel Mission, after seeing her people suffer at the hands of the settlers. 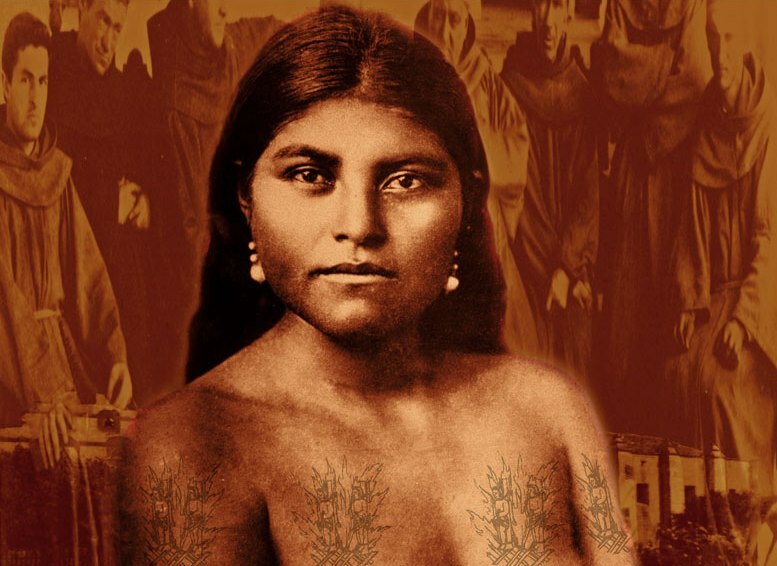 She was captured, imprisoned and forced to live in exile in Monterey, far away from her homeland and people. 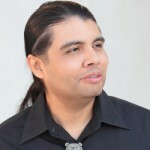 The play is co-written by Matthew Lovio and Andrew Morales, members of the Gabrieleno-Tongva Band of Mission Indians and is directed by Jonathan Salisbury. Visit the Toypurina website to learn more about the play, view photos from the performances, and read about the cast and creative team. Jonathan hails from England where he lived until 2008. Performing from an early age, Jonathan gained his BA (Hons) degree in acting from Rose Bruford College of Speech and Drama. After many appearances on the London stage, he discovered directing. In London, he directed A Midsummer Night’s Dream and Ben Jonson’s Volpone, as well as many modern productions and World Premiere’s both in the UK and Italy. Jonathan was Artistic Director of the first of Shoreditch and Hoxton Festival, of two different theaters in central London, and one in the commuter town of Tunbridge Wells. 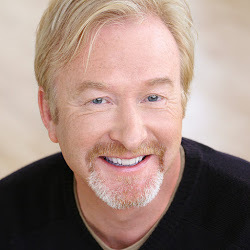 Since coming to Los Angeles, Jonathan has appeared in onstage as Claudius in Shakespeare’s Hamlet and most recently as Dr.Robert Smith in the acclaimed British play Blue/Orange as well as feature films, shorts, commercials and TV shows including a major recurring role in the PBS special Courage, New Hampshire. In 2011, he directed a short film entitled Intruder. He is currently developing his next film. Read more about Jonathan at www.jonathansalisbury.net. Matthew is a descendant of the Gabrieleno Tongva tribe. He’s currently majoring in creative writing at Pasadena City College. He has completed one novel and is in the process of writing a second book. Matthew is currently writing a screenplay based upon his first novel. His future goals are to continue to act, write, and to spread and teach the knowledge of his ancestors, the first indigenous people of Los Angeles. 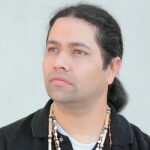 Andrew “Guiding Young Cloud” Morales is an active tribal member of the Gabrieleno Tongva San Gabriel Band of Mission Indians and is the son of “The Chief.” He is a shaman, youth leader, dance captain, and teaches the Tongva language for the tribe. He conducts many ceremonies, blessings, cultural presentations, and also composes tribal songs and dances. His goals are to write plays, produce and act in feature films.